WASHINGTON — In yet another aftershock from the chaotic presidential campaign, the Justice Department inspector general opened an investigation Thursday into department and FBI actions before the election, including whether FBI Director James Comey followed established policies in the email investigation of Hillary Clinton. Democrats have blamed Comey's handling of the inquiry into Clinton's use of a private email server, and his late-October public letter about the case, in part for her loss to Republican Donald Trump. Workers are now putting final touches on preparations for next week's Inauguration Day festivities, and the new probe will not change the election results. But it revives questions of whether the FBI took actions that might have influenced the outcome. Inspector General Michael Horowitz, the department's internal watchdog, will direct the investigation, which comes in response to requests from members of Congress and the public. Comey said he was pleased about the review and the FBI would cooperate fully with the inspector general. "I hope very much he is able to share his conclusions and observations with the public because everyone will benefit from thoughtful evaluation and transparency regarding this matter," he said in a statement. Robby Mook, who served as Clinton's campaign manager, said it had raised concerns when Comey commented on the investigation and said the release of his letters in the days before the election was "extremely destructive and ended up amounting to nothing whatsoever." "It's a troubling pattern that the FBI seems to have chosen a horse in this election, and we welcome this investigation so this doesn't happen again," Mook said. During a Senate Intelligence Committee briefing on Russian hacking, Comey was pressed by lawmakers of his handling of the investigation. Sen. Joe Manchin, D-W.Va., said Comey "defended it very well ... he put the facts out there, and hindsight being 20/20, he said these are the facts I had to deal with, and these are the decisions I made, I'm sorry if someone takes offense." "He explained to us that he was faced with two decisions — one with very bad consequences and the other with disastrous consequences," said Sen. Tom Carper, D-Del. "He chose what he thought was the less harmful consequences to our country." Horowitz's office is one of many independent investigative bodies designed to oversee the conduct of federal departments and agencies. They most commonly seek to ferret out misconduct and fraud in the department or among its contractors. Investigating an agency's top leadership is a rare, but not unheard of, occurrence. 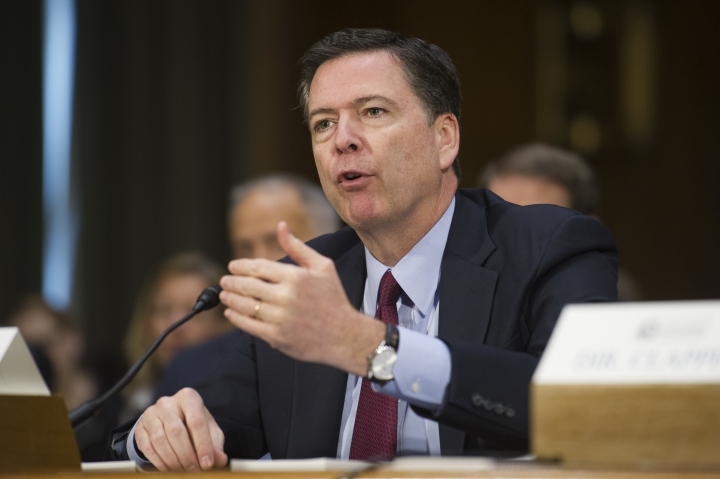 One part of the review will concern Comey's news conference last July in which he said the FBI would not recommend charges against Clinton for her use of a private email system during her tenure as secretary of state. Trump repeatedly criticized that practice, contending it put national security secrets at risk. Trump also declared at raucous rallies during the campaign that he would seek a special prosecutor to investigate Clinton and that she would be in jail if he were elected. But he said after the election that he did not intend to seek a new investigation of her. Comey, during his announcement in the summer, broke protocol when he chastised Clinton and her aides as "extremely careless" in their email practices. It's highly unusual for federal law enforcement officials to discuss a criminal case that ends without charges being filed. Comey reignited the email controversy on Oct. 28 when he informed Congress that agents would be reviewing a cache of emails between Clinton aide Huma Abedin and Clinton for any new evidence related to Clinton's handling of sensitive State Department material. That move boiled in the campaign for nine days, before Comey announced on Nov. 6 — two days before Election Day — that the inquiry had found no new evidence of wrongdoing. Clinton and her aides have said the disclosure of the "new" emails, found on a laptop belonging to former New York Rep. Anthony Weiner, Abedin's estranged husband, hurt the candidate in several battleground states. Trump won the election in part with narrow victories in Democratic-leaning states like Wisconsin, Michigan and Pennsylvania. Comey's statements prompted outrage from Clinton and other Democrats who said they needlessly placed her under fresh suspicion when the FBI didn't even know whether the emails were relevant. Court documents released last month said the FBI had been trying to get a look at thousands of Clinton's emails on the disgraced former congressman's computer to see if anyone had hacked in to steal classified information. Weiner's laptop was initially seized by agents for an investigation into his online relationship with a teenage girl in North Carolina. Rep. Jason Chaffetz, a Utah Republican who leads the House Oversight and Government Reform Committee, wrote Thursday on Twitter that he supports the IG's review "of what happened at the (hashtag)DOJ and (hashtag)FBI during the Clinton investigation." 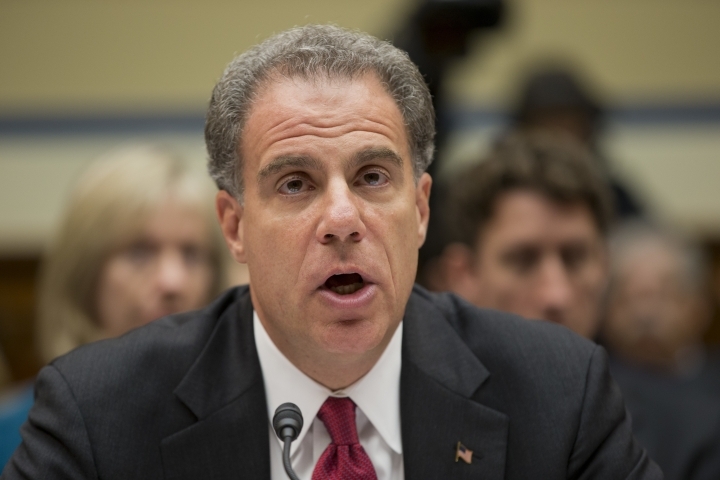 Horowitz's broad investigation will also look into allegations that the FBI's deputy director should have been recused from participating in certain investigative matters and allegations that department officials improperly disclosed non-public information to the Clinton campaign. It will also delve into decision-making related to the timing of the FBI's release of Freedom of Information Act documents in the days before the election and the use of a Twitter account to publicize them. Asked about the new investigation, Attorney General Loretta Lynch told The Associated Press in Baltimore that "we let them conduct their review before we make any statement about that." She added that "obviously everyone's going to await the results of that." Associated Press writers Eric Tucker in Baltimore and Mary Clare Jalonick contributed to this report.